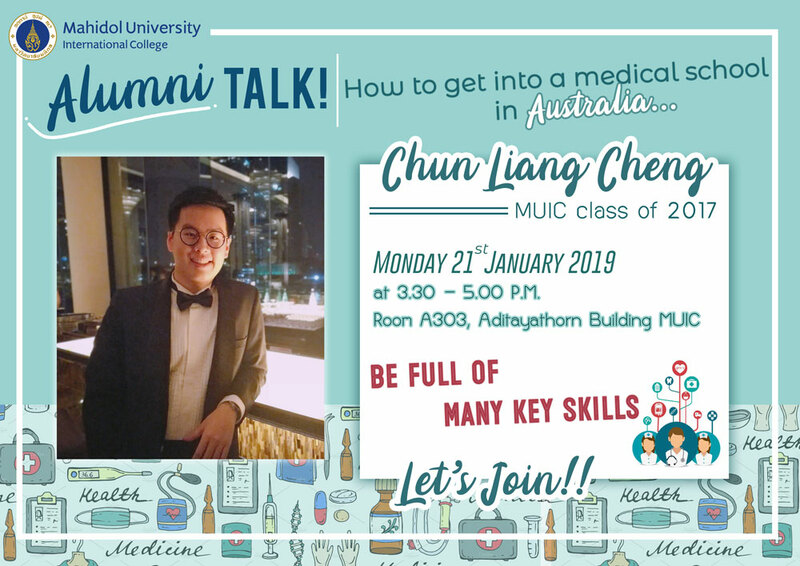 Alumni Talk: How to get into medical school in Australia by Chun Liang Chen, Biological Sciences Alumnus who has just got accepted to Monash University School of Medicine, one of the top-50 medical school in the world. Time: 3.30 – 5.00 P.M.
Don’t miss the interesting event! !